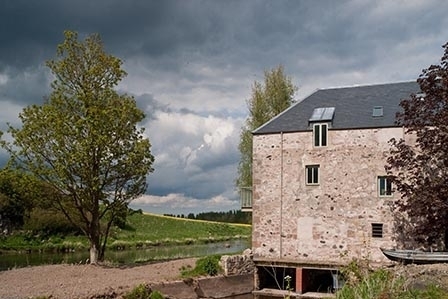 A stunning conversion of a former 18th century watermill in an idyllic setting nestled on the banks of the River Teviot at the end of a no-through lane. 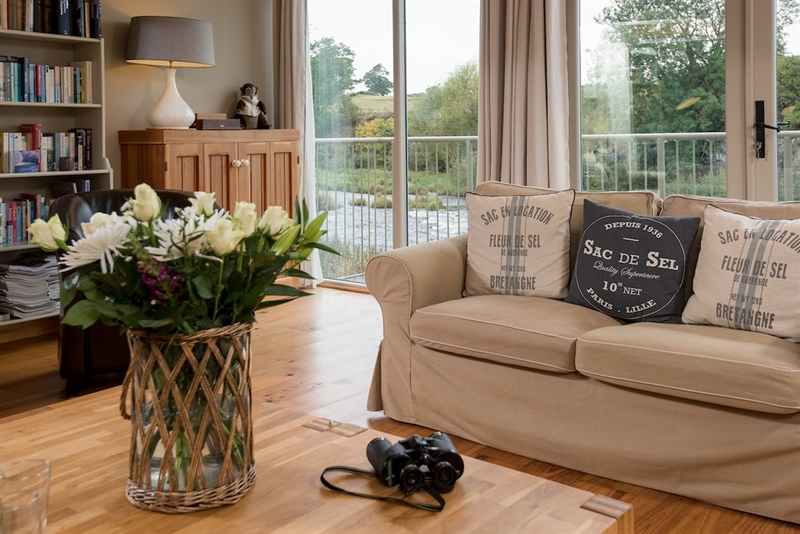 Heiton Mill House offers the best of both worlds, set in peaceful and secluded surroundings ideal for getting away from it all and yet within a five minute drive of Kelso's lively pubs and restaurants. 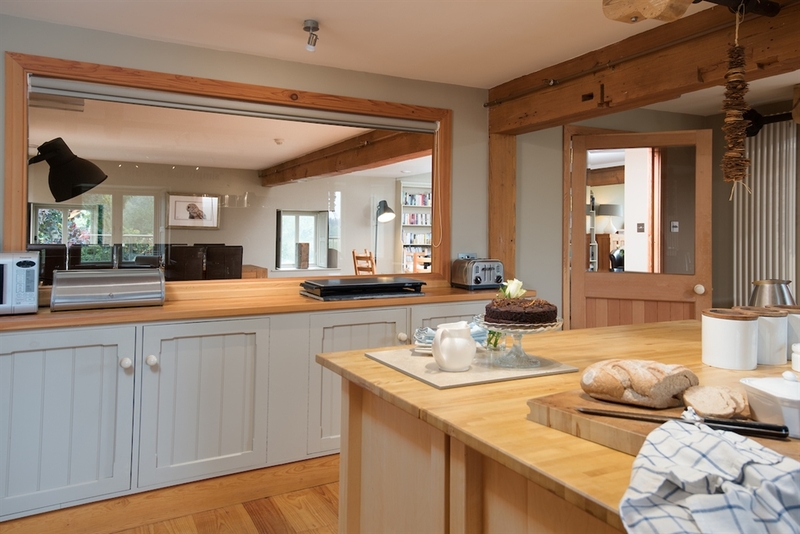 The owner's sympathetic conversion ensures that the mill's unique charm and character has been preserved. 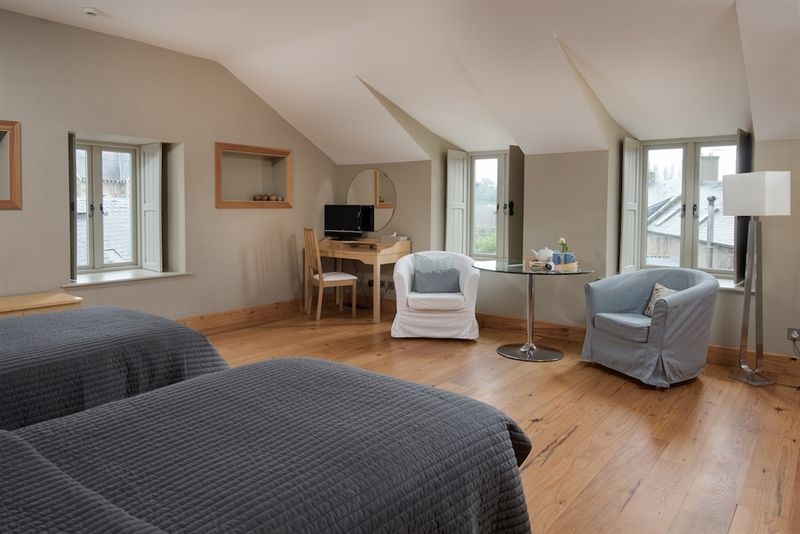 The original vast millstones still lean against the wall and the appealing combination of neutral tones, cosy fabrics and natural wood and stone finishes befit the building. 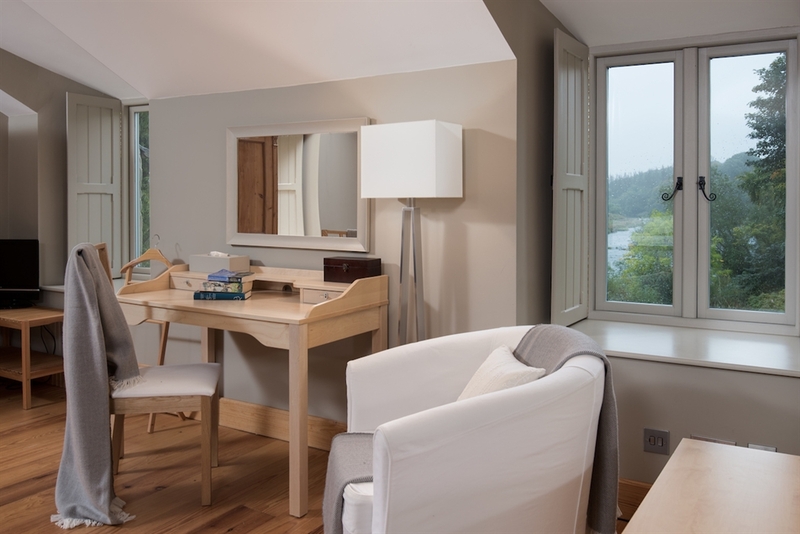 The carefully-considered interior ensures that all the principal rooms have superb views of the river offering a wonderful glimpse of its inhabitants including otters, herons and oystercatchers and even the odd salmon. A large, decked terrace accessed from the first floor provides a fabulous spot overlooking the river for summery drinks and al fresco dining in the summer months. Inside the simple, neutral interior oozes understated luxury. 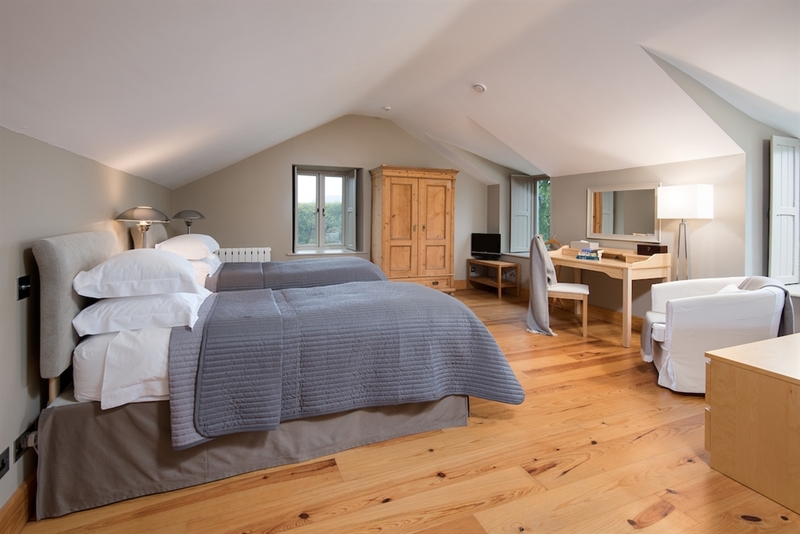 The spacious, light-filled rooms are punctuated with little luxuries at every turn including sumptuous sofas, vast super king size beds, Egyptian cotton bed linen, down duvets and pillows, fluffy white robes and towels, wi fi, flat screen TVs in all the bedrooms, a state of the art wood pellet stove for cosy winter nights and an impressive high-spec kitchen. Even your furry friends can stay in luxury with their own heated kennels and hot and cold shower. 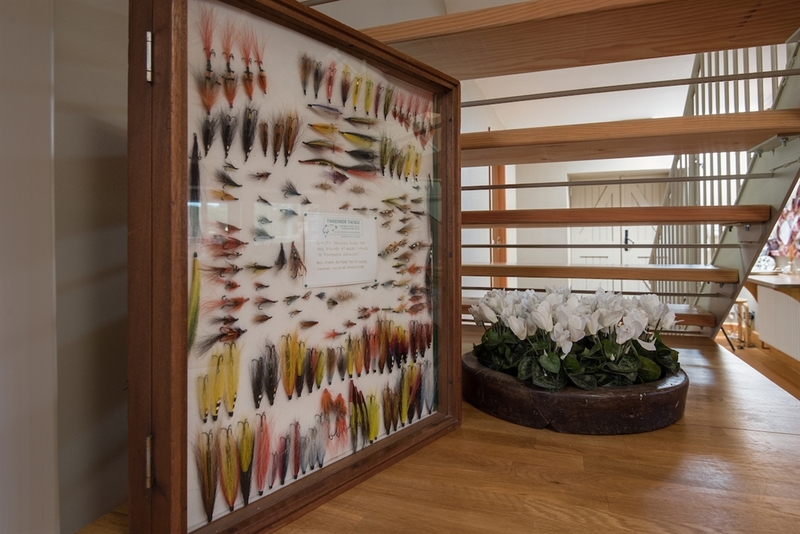 The delightful owners live close by and are on hand to ensure that guests get their best from their stay including offering meals for late arrivals, arranging fishing permits and providing a wealth of recommendations for places to visit in the area. 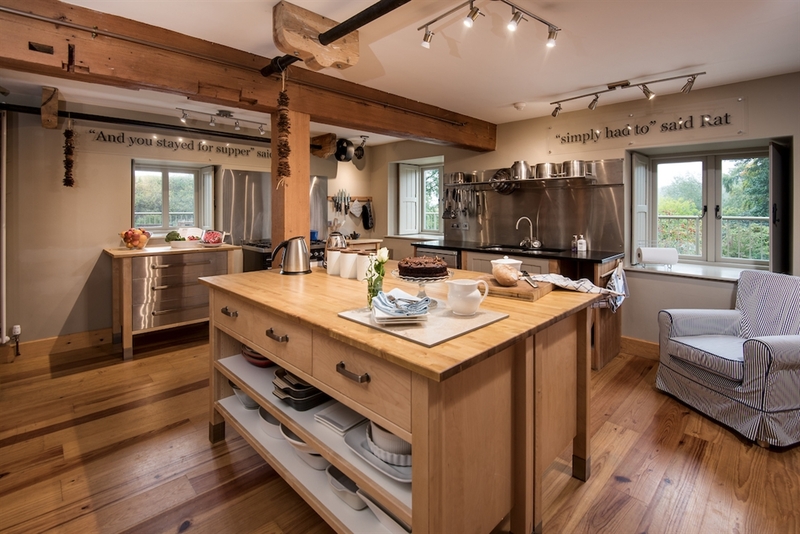 A cook can also be provided for one-off dinners or the entirety of guest's stay. 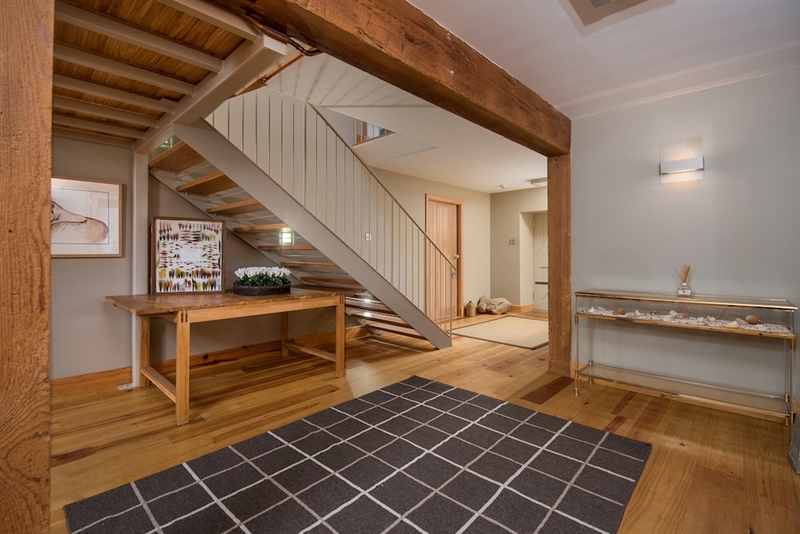 There are a number of outdoor steps up to the entrance door. Entrance hall with cloakroom with WC and basin. 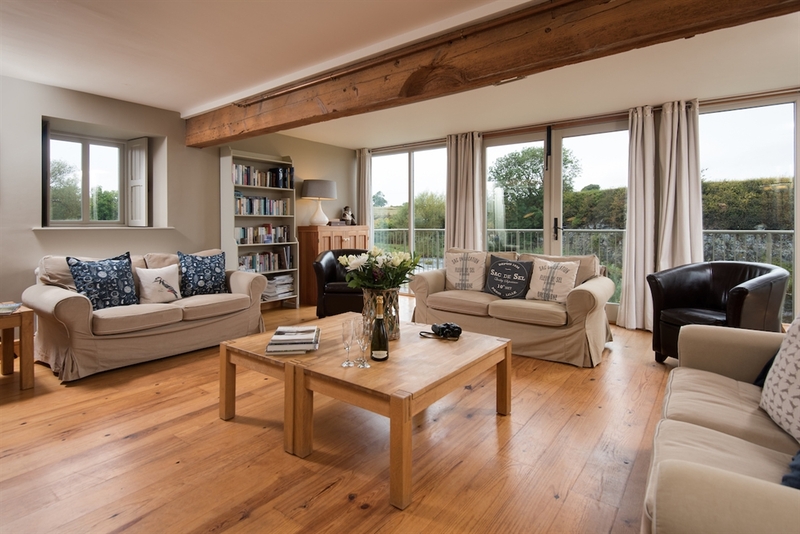 Open-plan sitting room and dining room with cosy seating area with a window wall overlooking the river and French doors out to the veranda. Wood pellet stove, TV with Freeview and DVD player, CD player with iPod dock, books, games, cards and small DVD library. 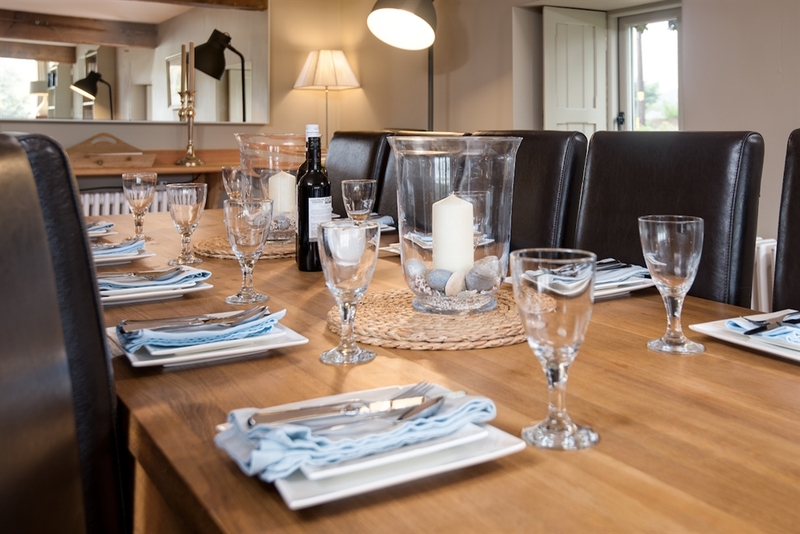 Dining area with seating for up to 12 guests. 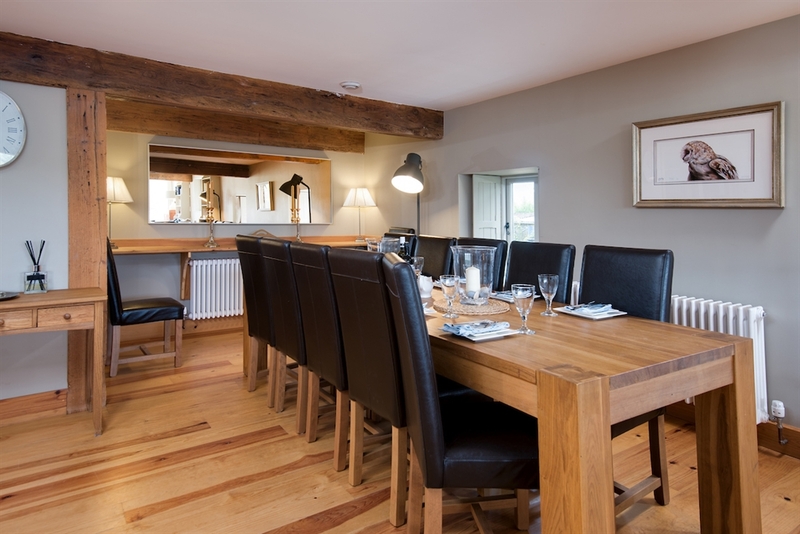 Breakfast table with seating for up to 6 guests. 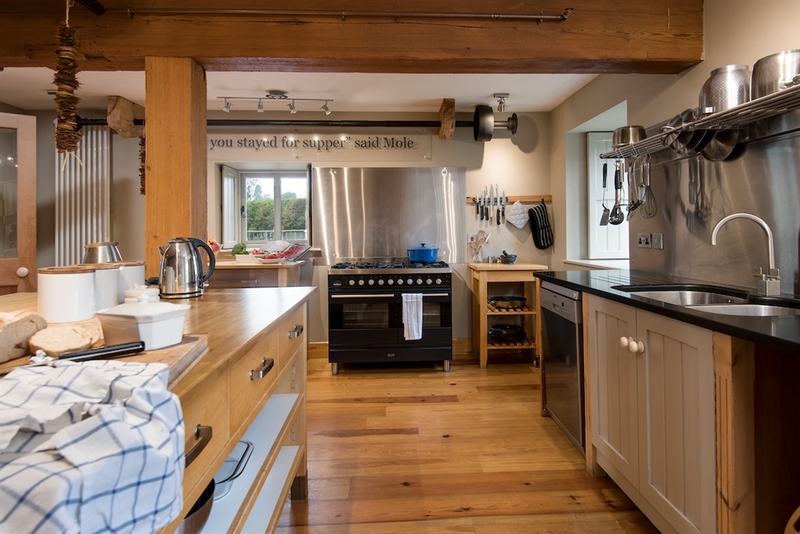 Fully equipped kitchen with large island, 6 ring hob, double oven, double sink, fridge, freezer, dishwasher and hot plate. Pantry with shelving, fridge/freezer and microwave. Utility room with sink, chest freezer, washing machine and dryer. An iron and ironing board are also provided. There is ample space for drying and storage of outdoor kit. Bedroom one with zip and link beds which can be set up as a 6’ super king double or 3’ twins as preferred, flat screen TV, wardrobe, chest of drawers and desk. 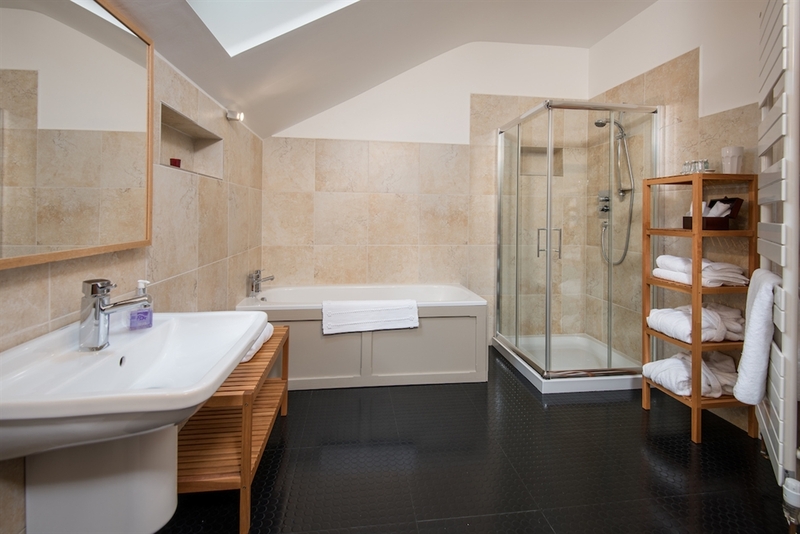 En-suite shower room with large walk in shower, basin and WC. Bedroom two with zip and link beds which can be set up as a 6’ super king double or 3’ twins as preferred, flat screen TV and wardrobe. 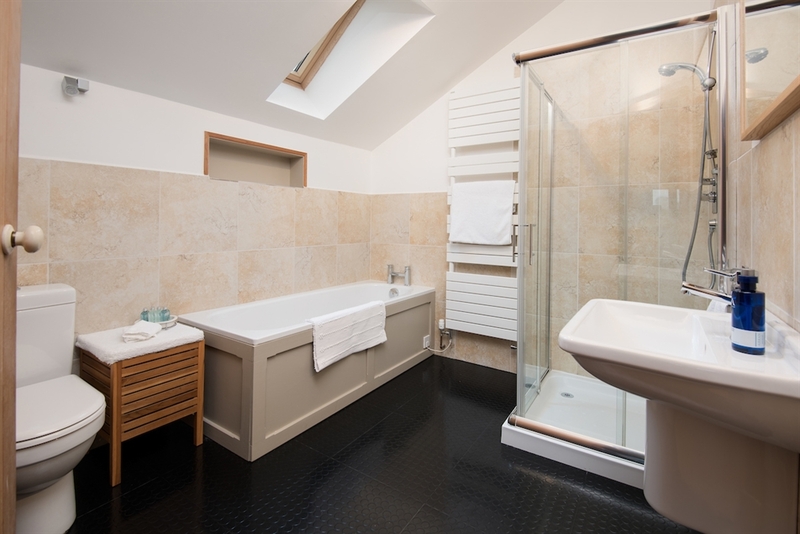 En-suite bathroom with walk in shower, bath, WC and basin. 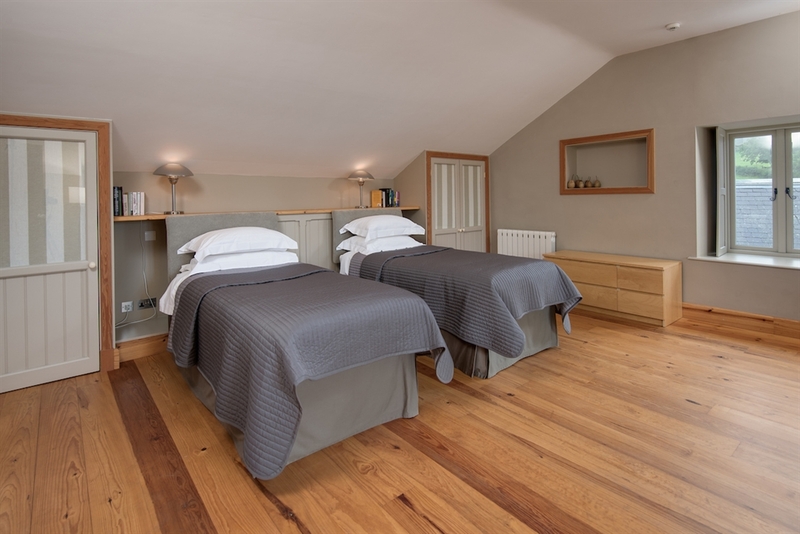 Bedroom three with zip and link beds which can be set up as a 6’ super king double or 3’ twins as preferred, flat screen TV, wardrobe and chest of drawers. 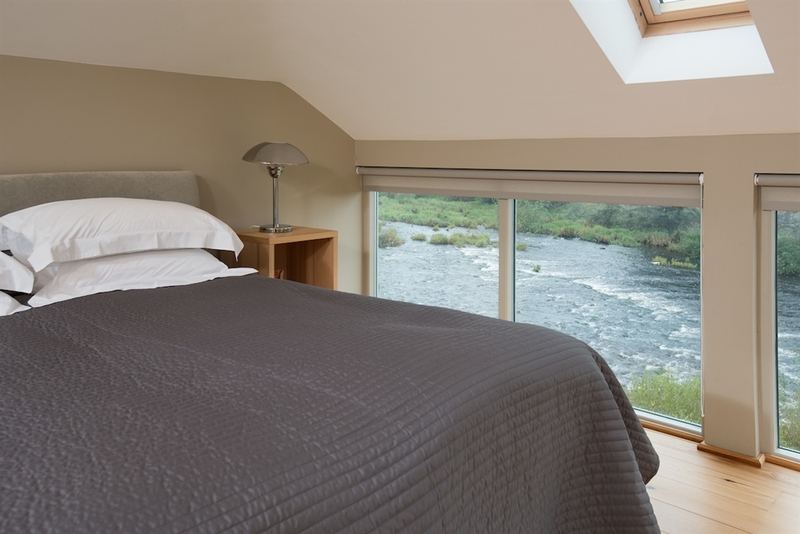 Bedroom four is the master bedroom with zip and link beds which can be set up as a 6’ super king double or 3’ twins as preferred, flat screen TV, built-in wardrobe, desk and impressive floor to ceiling windows overlooking the River Teviot. 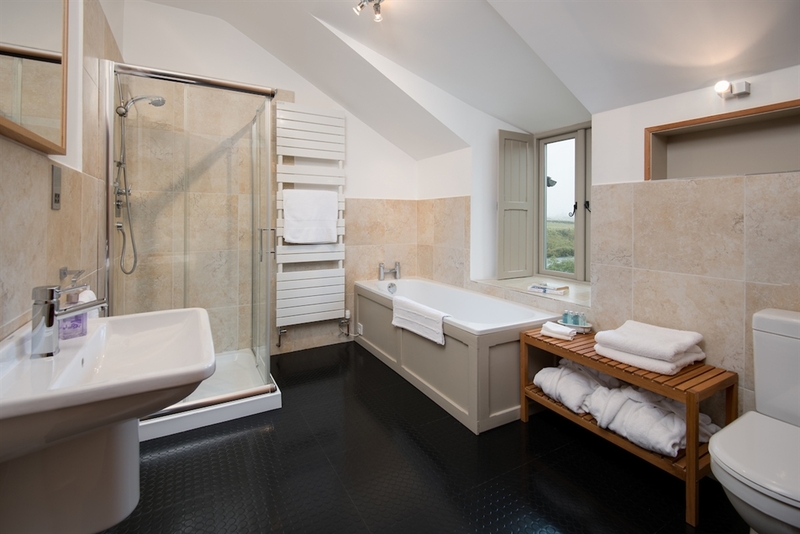 En-suite bathroom with walk in shower, bath, WC and double basins. 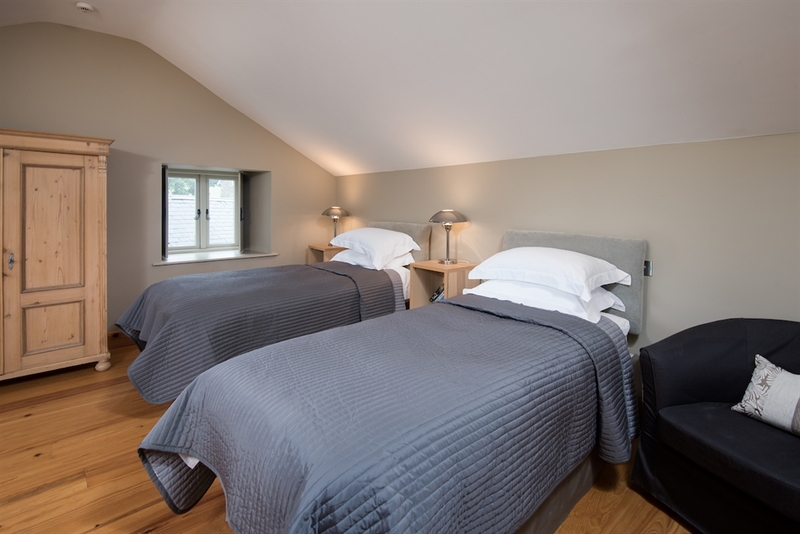 Bedroom five with zip and link beds which can be set up as a 6’ super king double or 3’ twins as preferred, flat screen TV, built-in wardrobes and desk. 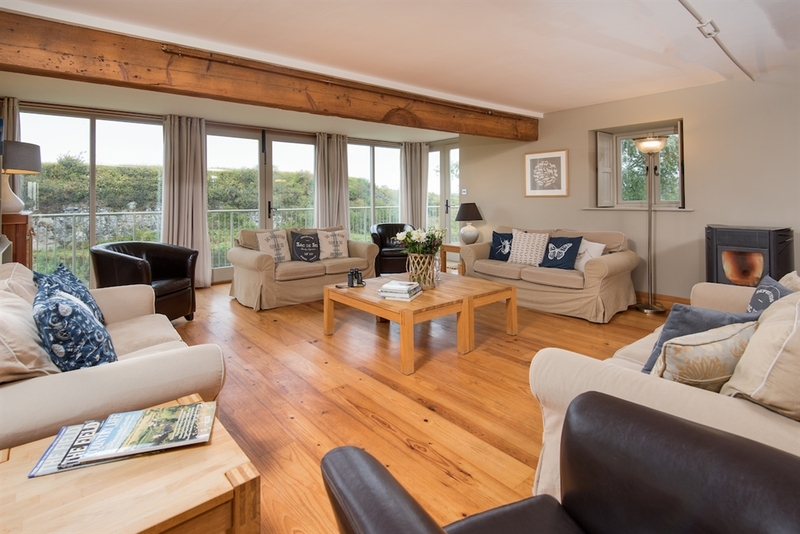 Large, decked upper ground floor veranda with table and chairs for outdoor dining. Outdoor lighting on the balcony allows guests to enjoy the river views late into the night. A gas barbecue is also provided. There is a garden area to the side of the mill. 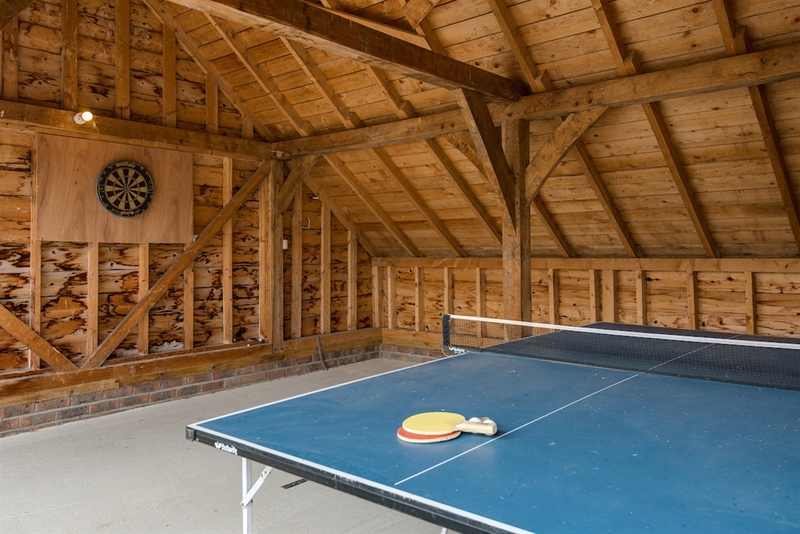 There is also an outdoor games area with table tennis and dart board. There is ample parking in the courtyard. 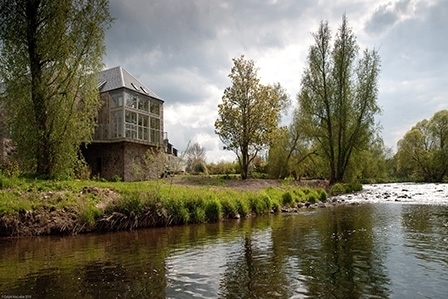 Children are welcome but due to the proximity of the river, parents must take responsibility for their safety. The balcony on the upper ground floor level has a high rail around it. At ground level there is a wide wooden bridge over the lade (the old mill race) without a rail. 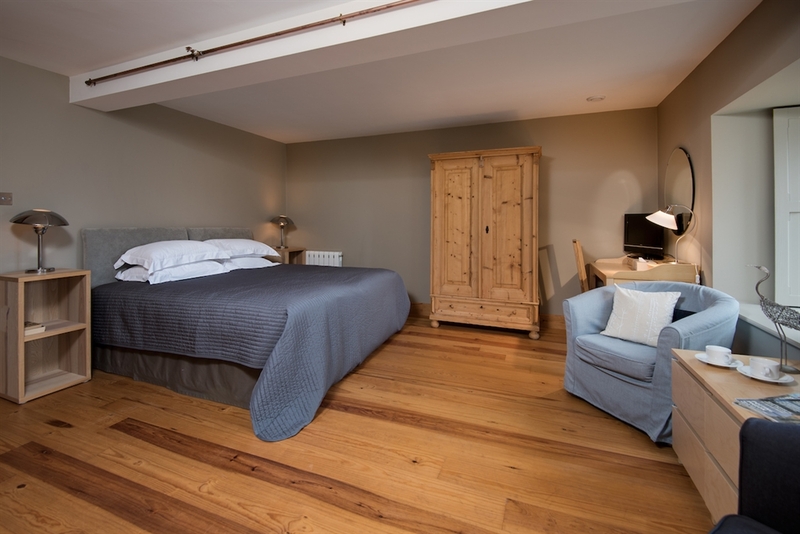 Two luxury kennels are provided in the courtyard, with hot and cold shower and heat lamps in the winter. 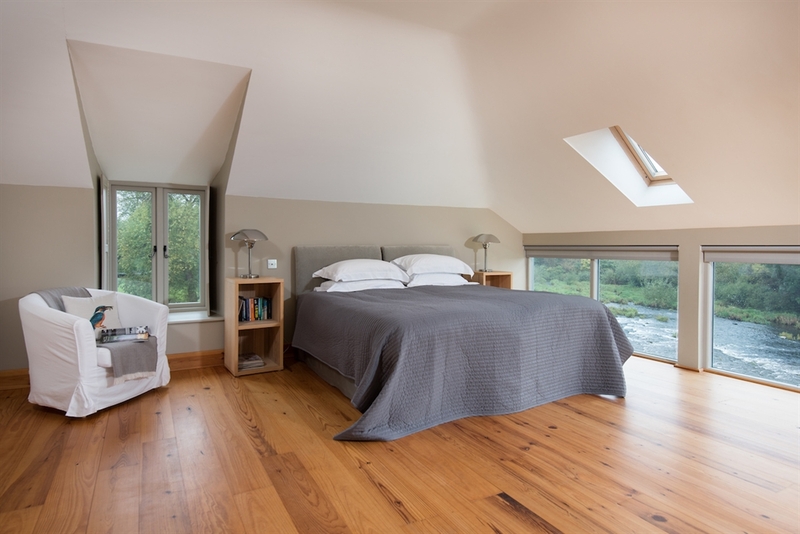 All bed linen is of the highest quality Egyptian cotton with down duvets and pillows. 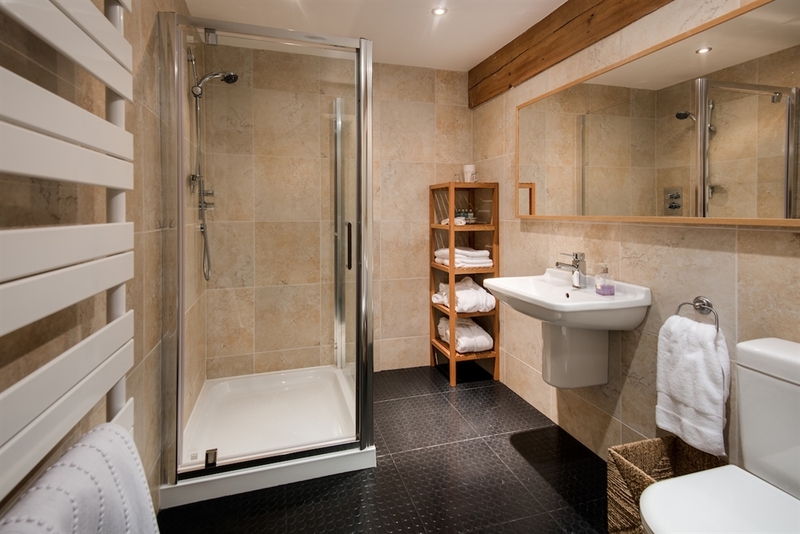 Guests are also provided with fluffy white towels and complimentary Arran Aromatics toiletries. Wi-Fi is available. Mobile coverage is good on most networks. 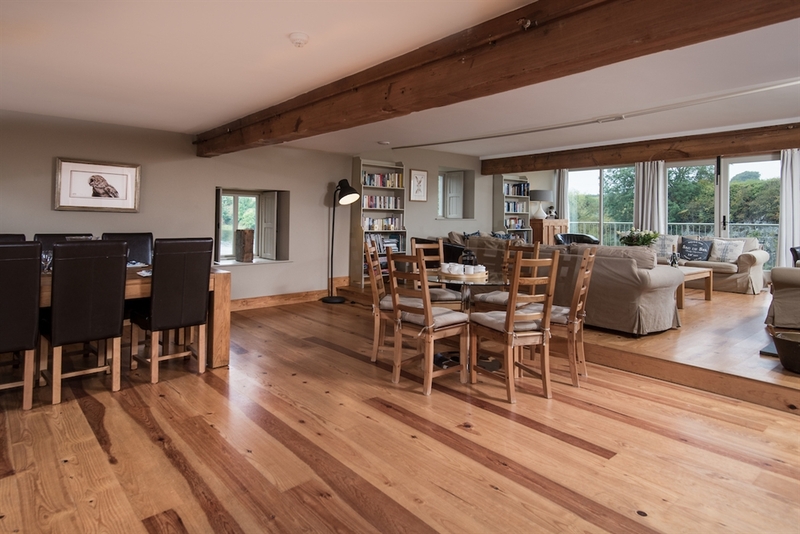 Heiton Mill House has oil central heating in addition to the pellet wood burner in the lounge. 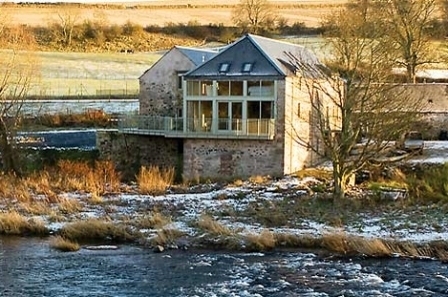 Heiton Mill House is perfect for fishing guests with private fishing on the stretch of the Teviot alongside the mill through the owners. The house is also incredibly convenient for the famous Junction beat and is close to several other prime Lower and Middle Tweed beats. The property sits a short distance away from the owner's property. 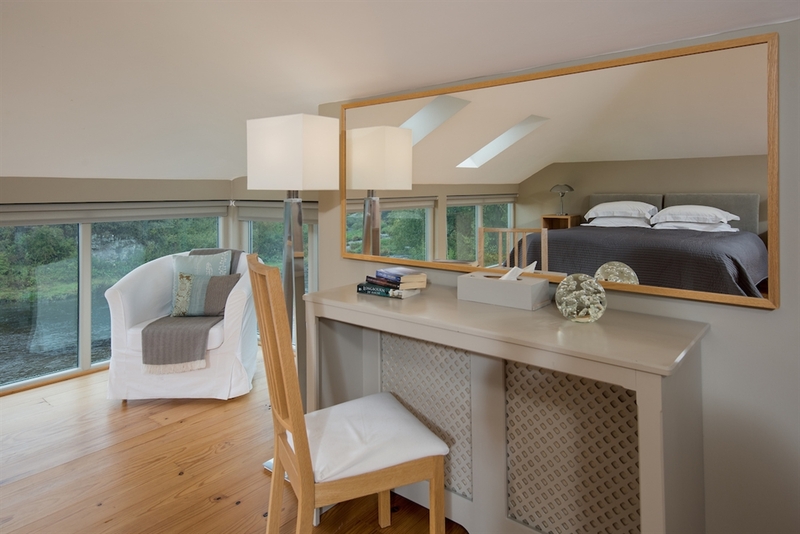 While the owners are on-hand and would be pleased to assist guests with any aspect of their stay, they are equally respectful of guest privacy.